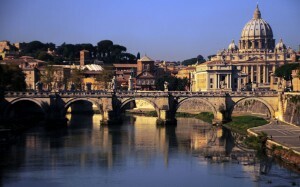 One of the points I try to stress with those joining me on the many trips I host to Rome and other Christian holy places is the difference between a tour and a pilgrimage. A tour is more of a fun seeking trek to an exotic location, one filled with great photo opportunities that contain dramatic backdrops of famous landscapes or monuments. There are also long days and longer nights filled with fun activities and great food with most of the emphasis on immediate gratification. A pilgrimage on the other hand is not a tour but a journey; one that hopefully results in a deeper faith and a closer relationship with God. 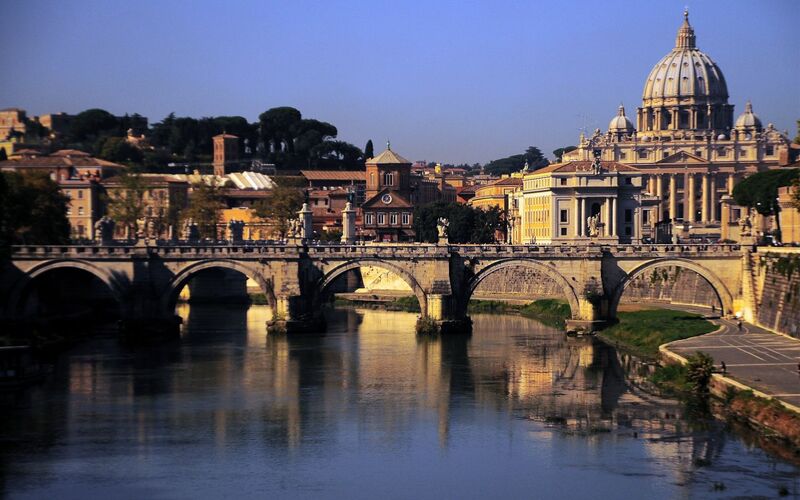 Since some of the world’s most well- known Christian pilgrimage sights, such as Italy and Israel for example, also happen to be beautiful and awe inspiring, a little bit of the tourist may also kick in from time to time. No doubt the excited traveler will want to take lots of photographs and pick up trinkets and gifts for everyone on their shopping list. Lots of mementos will end up in the suitcase in addition to the Rosaries and the olive wood products and in moderation this is fine. But too much shopping and sight-seeing can lead to aimless wandering or even worse; getting hopelessly lost. So I always encourage our pilgrims not to get stuck in the tourist trap. They need to back away from the postcard rack and go deeper to make their journey last long after they return home and empty the suitcases. Otherwise the experience will end up buried away somewhere in the basement of their memory just like that old backpack and pair of walking shoes pushed to the back of the closet unlikely to be seen or used again at least not for a while. In a recent daily homily Pope Francis used the tourist analogy to help us re-focus on our lifelong faith journey. The Pope was reflecting on the day’s readings from Isaiah and St. John’s Gospel which spoke of God’s promises of a new life. With this in mind, the Pope said, the essence of the Christian life is to have a journey of hope and trust toward the promises and not to be like that tourist who spends all his or her time wandering aimlessly in life from one experience to the next. Another piece of advice I always impart before our pilgrims head off on their own is to take the hotel business card with them. This way if they do end up hopelessly lost in a foreign land, finding their way back will be that much easier. Pope Francis says that’s why it is important to keep that faith card, so-to-speak, close to our hearts at all times. If we do take a wrong turn the Lord always gives us the grace to find our way home. Half-way through Lent is a good time to re-group and ask ourselves where we are on our own spiritual journey. If we’re dazed and confused, no worries. Through Confession and prayer we are able to get back on our feet and on our way once again toward those promises of faith and a new life. Happy trails!